As the summer is coming, people seem to be thinking more about their body shape for summer clothes. I’ve notice an increase of people at the gym, mostly those that joined in January and are now having a second push at using their membership before their summer holidays. I too thought I’d take a look for a lighter treat after my dinner. Muller have always been good at interesting flavours with their low fat yoghurts, and they haven’t disappointed this time either. 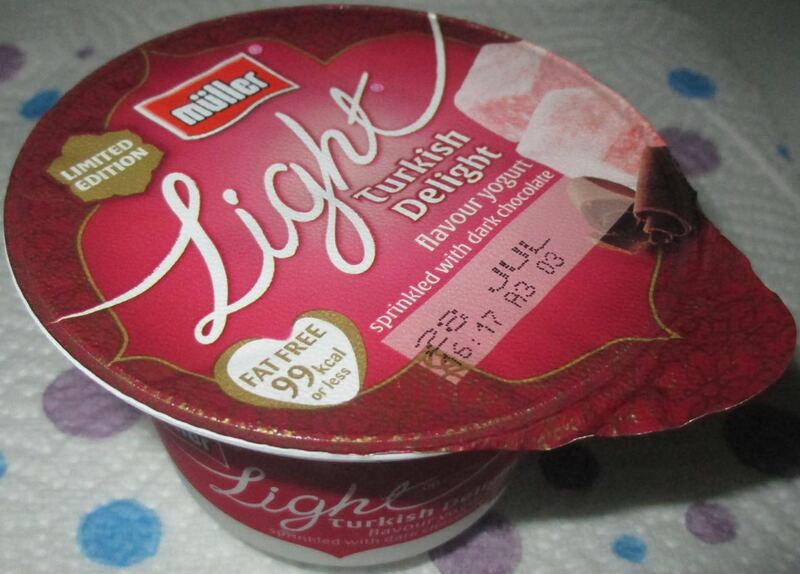 I picked up the new Muller Light Turkish Delight in Morrisons. 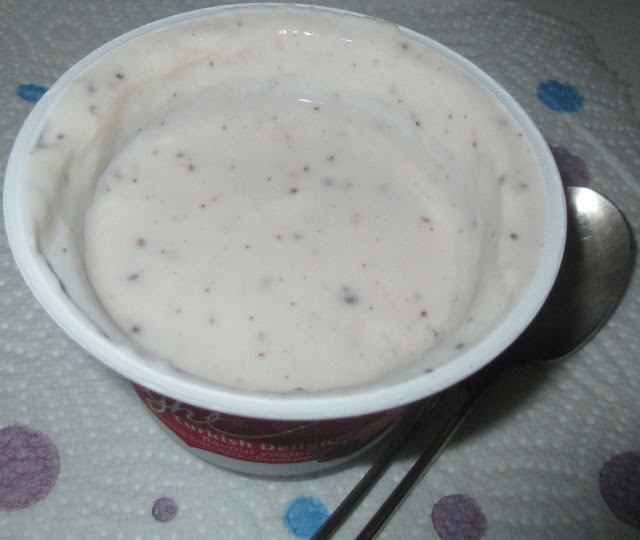 The yoghurt is flecked with dark chocolate and flavoured with Turkish Delight. I’ve always liked Turkish Delight, so thought this sounded like an excellent new variety. The yoghurt itself is thick and creamy tasting, and quite sweet too. The rose flavour is very prominent with all its fantastic floral goodness. The only negative part is that the chocolate flavour is very mild. There do seem to be quite a few flecks of chocolate, but they only add a little to the taste. I still enjoyed the main flavour though, it feels like a nice treat. It reminded me of eating the proper Turkish Delight sweets, but this only comes in at 99 kcalories and is fat free, so it doesn’t come with the guilt.